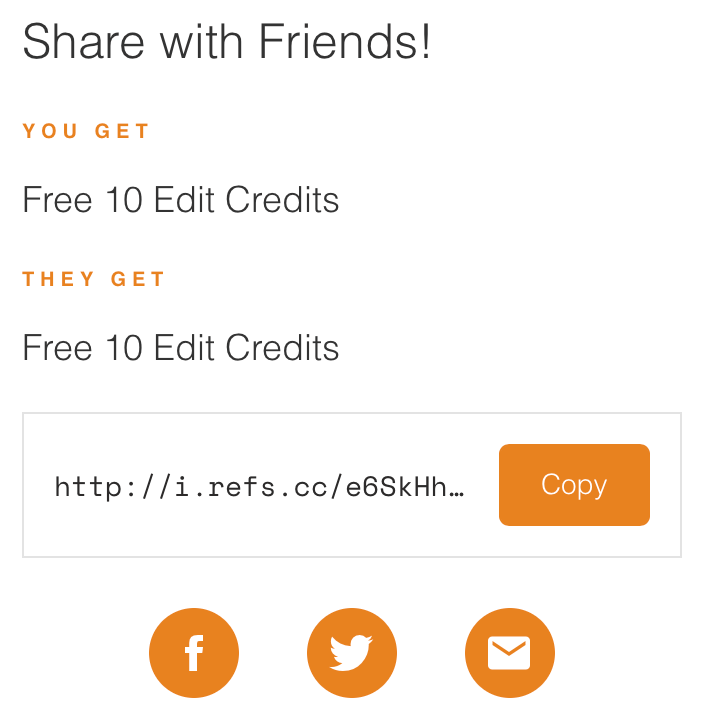 To share a referral link, you’ll first need to create a Clipping Path India account. If you’ve already done so, log in and look in the bottom left corner for the orange button that says REWARD PROGRAM. Click that button. Scroll down in the pop-up window to the section titled Share with Friends! Here, you’ll see your direct referral link. You can copy and paste that link and share with your network however you please. You can also quickly send a pre-written Facebook post, tweet or email via the three icons below your link. What are Click Points and how do I earn them? What do I earn for every referral?